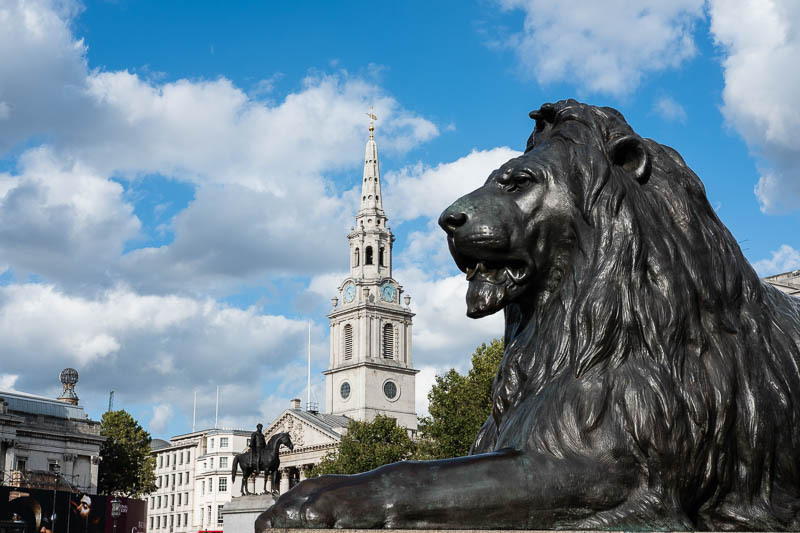 One of the very imposing lions that guards Trafalgar Square. Many people have passed his way! He's magnificent - and superbly photographed too. Very imposing, which suits such a location. This is a great shot of that famous lion!